In a matter of seconds, author Charles L. Bailey, Jr.'s, childhood innocence was destroyed. At the tender age of ten, Bailey became a victim of continuous sexual abuse by his family's Roman Catholic priest. 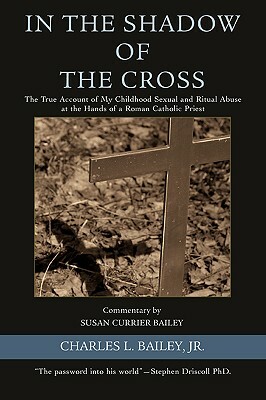 In the Shadow of the Cross: The True Account of My Childhood Sexual and Ritual Abuse at the Hands of a Roman Catholic Priest details Bailey's personal journey of recovery. With candid and shocking details, Bailey reveals how his ill-treatment forever destroyed his innocence and robbed him of identity and faith. Bailey also explains how family and friends were impacted by the tragedy, how his development from child to adult was full of pitfalls, and how he struggled with issues of intimacy. But there is also hope in Bailey's story. Through his work with support groups, such as SNAP, (Survivors Network of those Abused by Priests), individual counseling, and his renewed faith in God, Bailey has confronted his past and has become an advocate for those impacted by clergy sexual abuse. In the Shadow of the Cross shares his compelling true story and serves as a stark reminder of the haunting legacy of abuse in the church.